I recently bought this very good Maybelline Unstoppable Eyeliner in Espresso and I put it on only my right lid to test how long it would stay on without fading and or smudging and after 8 hours it was still totally the same,I even slept with it on and only after 12 hours did it smudge slightly. The color is a great black brown especially for those of us with light,warm toned skin,and even though it doesn’t have a built in sharpener and or smudger, I use the ones from my Rimmel Exaggerate Eye Definer,which I also really love but they unfortunately don’t have a black brown shade.I don’t usually intentionally smudge my eyeliner though. 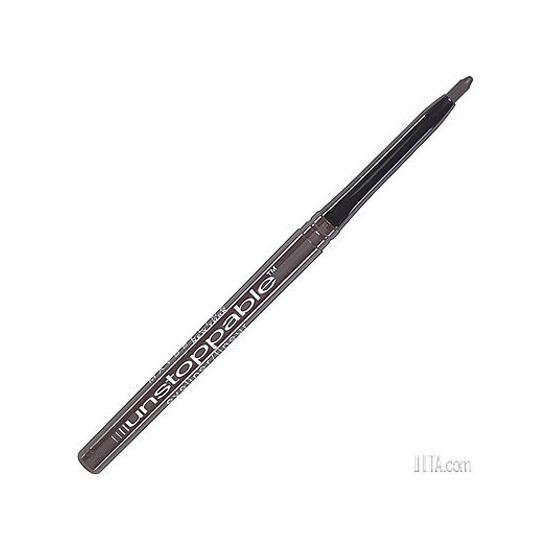 Also I don’t understand why some women say that you can’t apply this eyeliner on the lid in a precise line without intentionally smudging it.